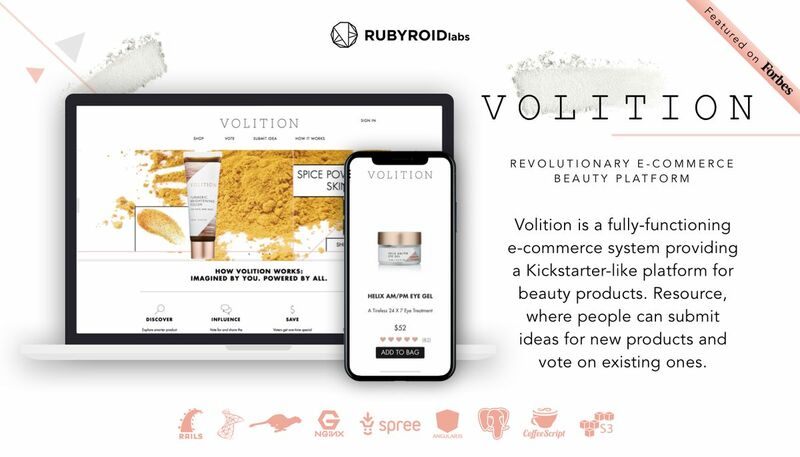 The founders of Volition came to Rubyroid Labs with a big goal and a serious technical challenge - creation of an open and transparent collaboration platform where every product will be created by community. So they no longer have to anticipate what beauty products customers want or need, people will tell it by themselves. We've had an amazing experience with Rubyroid. They helped us build our site from scratch and have been able to add unique / custom features along the way. No complaints!